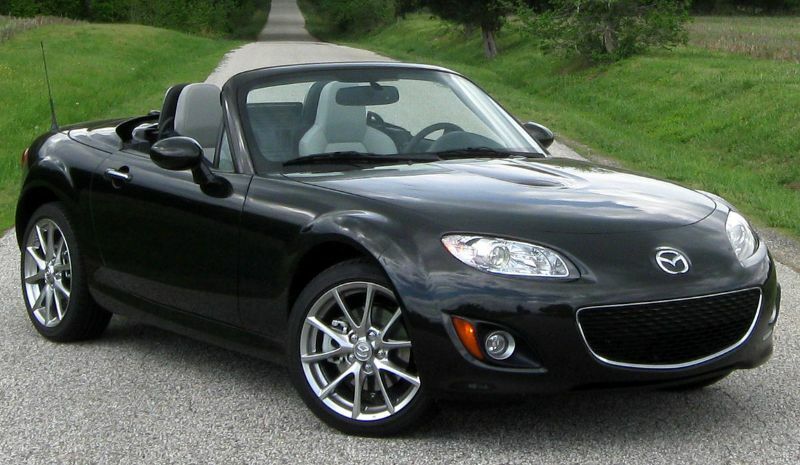 The Mazda MX-5 is one of the most easily recognized Mazda vehicles with its lightweight roadster design that seats two. The MX-5 has a front mid-engine and rear-wheel drive. 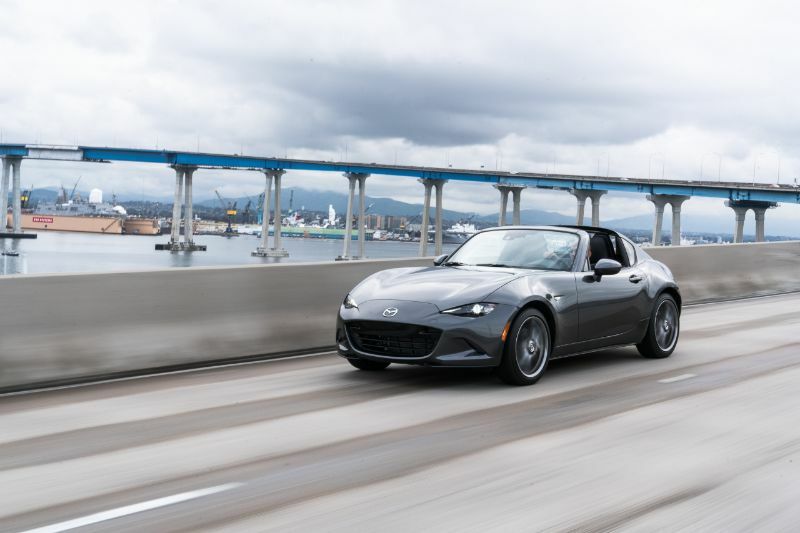 Depending on the market, it may go by different names, including the MX-5 Miata or the Miata in the United States or the Eunos Roadster or Mazda Roadster in Japan. Production of the Mazda MX-5 began in 1989 and continues today. The MX-5 began when the Mazda design team in California suggested a rear-wheel drive and front-engine layout with the codename Duo 101 that followed the ancestry of British roadsters. The Japanese design team preferred traditional layouts, either front-engine and front-wheel drive or rear mid-engine and rear-wheel drive. The teams competed with judging for the designs in 1984, with the Duo 101 becoming the basis for the upcoming MX-5. When the design for the MX-5 was complete in 1989, the model weighed 940 kilograms (2,070 pounds). It is also important to mention that the idea of Jinba Ittai (the Japanese concept of harmony between a horse and its rider) played a key role in the design of the MX-5 throughout its generations. This design looks for the rider and horse to be as one body, and multiple components of the MX-5 followed the concept. This is partly why the MX-5 remained as light and compact as it could be and why the cockpit would not have wasted space. The first generation of the Mazda MX-5 arrived as a 1990 model year. It measured just 155.2 inches overall with an 89.2-inch wheelbase, helping it remain lightweight. 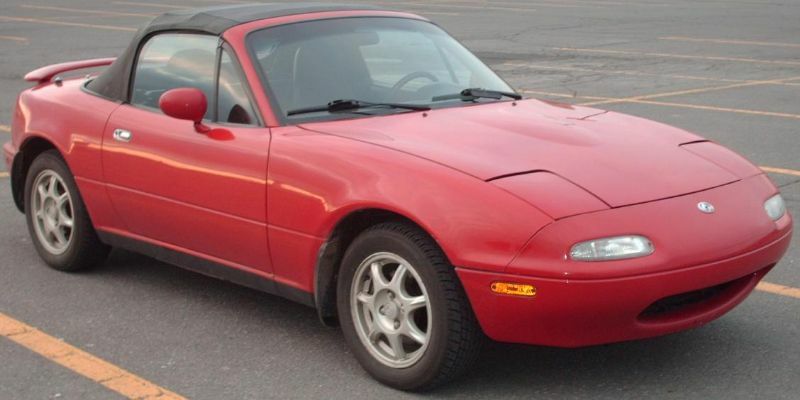 The initial Miata used a 1.6-liter inline-4 with 116 horsepower. It was enough to take this small car to 60 mph in less than 9 seconds. The second generation debuted as a 1999 model year. The second generation maintained its familiar proportions but lost its retractable headlamps in favor of fixed ones due to safety concerns. The MX-5 earned a Guinness World Records title in 2000 as the best-selling convertible two-seater sports car. The second generation also featured many limited editions of the MX-5, including a coupe version and a performance turbocharged one. For example, the 10th Anniversary Edition had glossy five-spoke wheels, Sapphire Blue Mica paint, two-tone leather trim inside, Nardi leather on the shift knob and steering wheel, and a center console trimmed with a carbon-fiber look. It also featured Bose sound, a 6-speed manual transmission, and a firmer suspension. The third generation of the Mazda MX-5 debuted in 2005 during the Geneva International Motor Show. 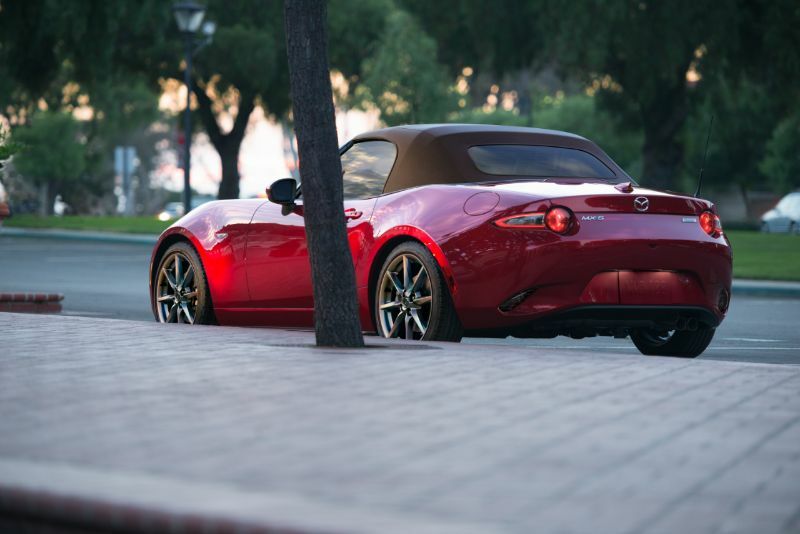 According to the automaker, the MX-5 was all-new, sharing no components with the previous generation. This was the first time that the MX-5 got a 2-liter engine, which generated 170 horsepower and 140 pound-feet. The third generation of the MX-5 was more spacious inside, as well as wider, heavier, and longer. This generation also saw the addition of a retractable hardtop version. 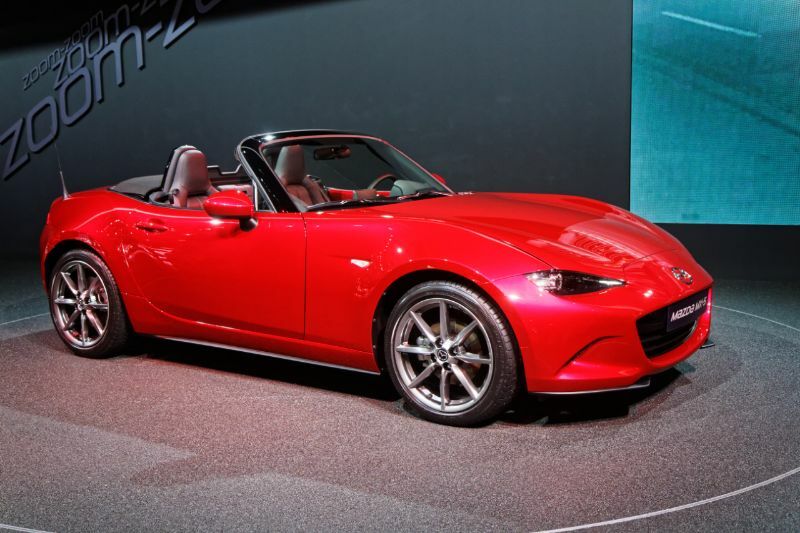 With that change, open-top driving became more accessible, which contributed to the success of the MX-5. The fourth generation of the Mazda MX-5 debuted in September 2014. Then, the hardtop version known as the MX-5 RF arrived for the 2017 model year. This is the current generation of the MX-5, so it is the one you will find new.